A mild and creamy organic sheep’s milk cheese. Manchego has delectable buttery flavour with a lingering, piquant aftertaste. It comes from Finca Fuentillezjos, a 300-hectare farm in Spain where Manchega ewes graze in steep, sunny pastures. 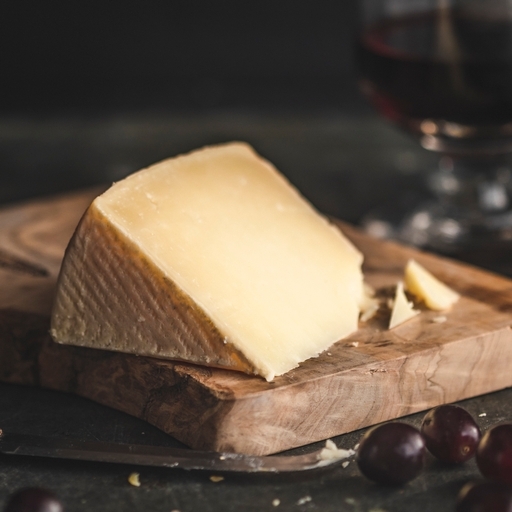 The cheese is aged for a minimum of 2 months to reach peak flavour. Traditionally used in tapas, this cheese also melts well making it an ideal choice for stuffing sweet peppers and mushrooms, or for simply grilling on toast until bubbling and golden for a quick and tasty supper. Keep in the fridge for up to 14 days. The Fuentillezjos farm has over 40 years' experience of traditional sheep-rearing and has been producing organically for over 15 years. Their herd of ewes are milked twice a day and produce 1 litre of milk each per day: it takes 6 litres of milk to produce 1 kilo of cheese. Pasteurised sheeps' milk, calcium chloride*, animal rennet, salt*.